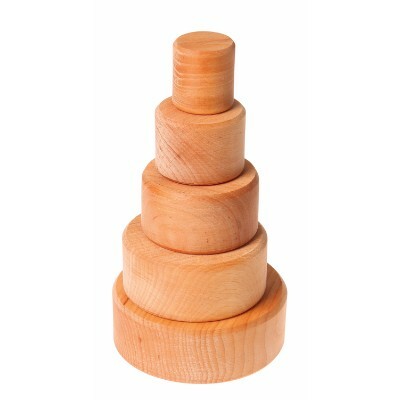 The Set of Bowls is a versatile toy for the children: they can stack and sort the bowls by size and colour, build with them, use it as cooking pot or plate, collect treasures etc. 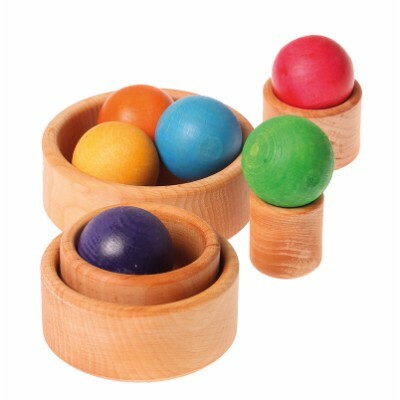 The Set of Bowls is recommended by »spiel gut« (good toy guide). 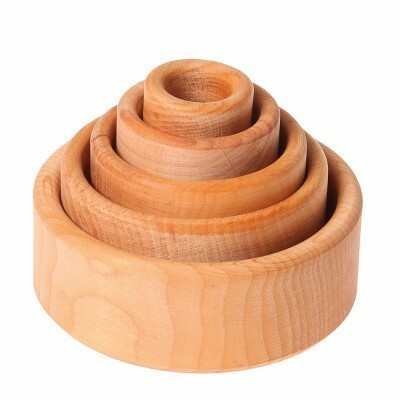 Material: made from alder, non-toxic plant based oil finish.